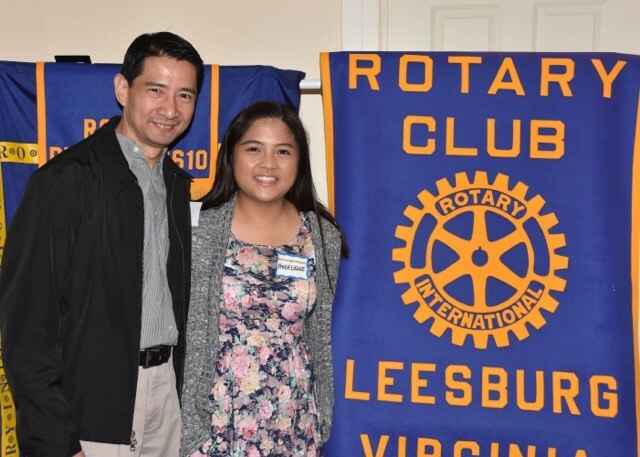 The Rotary Club of Leesburg celebrated and supported youth in a big way in May and June. 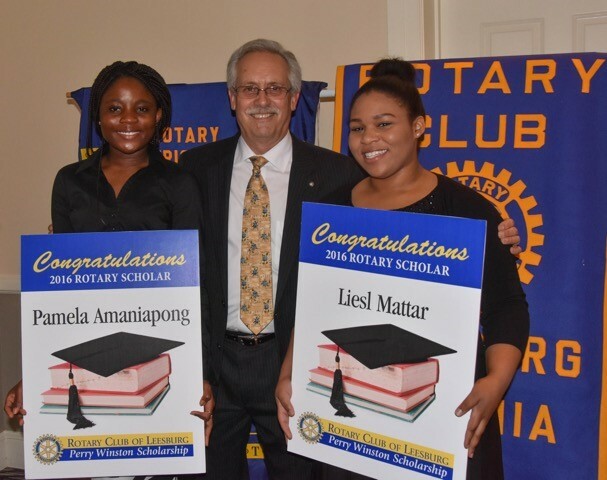 Pamela Amaniapong and Liesl Mattar competed with dozens of other Leesburg area high school seniors to become winners of the two $10,000 Rotary Club of Leesburg Perry Winston Scholarship awards for 2016. These two exceptional students were joined by their families and school officials, and were showered with support and congratulations. The winners provided inspirational comments about the award and their college plans. 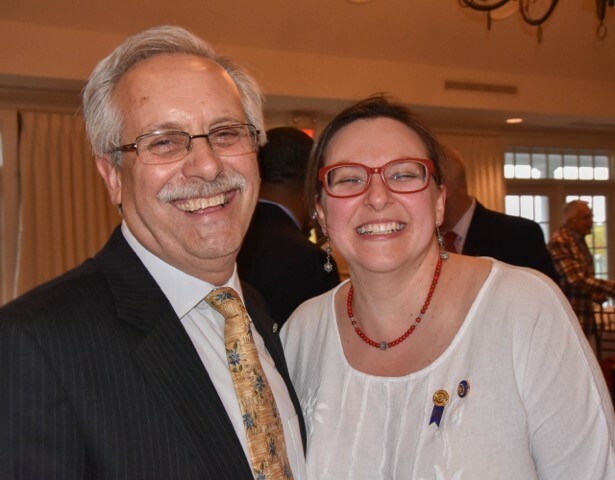 They received heartfelt, standing ovations from the audience at the May 19th Rotary dinner meeting. Pamela graduated from Tuscarora High School and has been an active volunteer with the local hospital, seniors, school events, tutoring and other activities. She exemplifies the quality of courage by overcoming many challenges to excel academically and to work toward her dream of becoming a doctor. She plans to continue giving back to community and family as she pursues her education at one of the several colleges where she was accepted. Liesl graduated from Loudoun County High School and has shown a genuine passion for serving others through organized efforts and many random acts of kindness. She participated in the 2015 Thomas Horne Leadership in the Law Camp, which peaked her interest in the field of law and in Rotary. She plans to attend Christopher Newport University in the Fall. On June 7th and 8th, Rotarian Jewell Emswiller presented each student with her award at the high school seniors’ awards ceremonies. 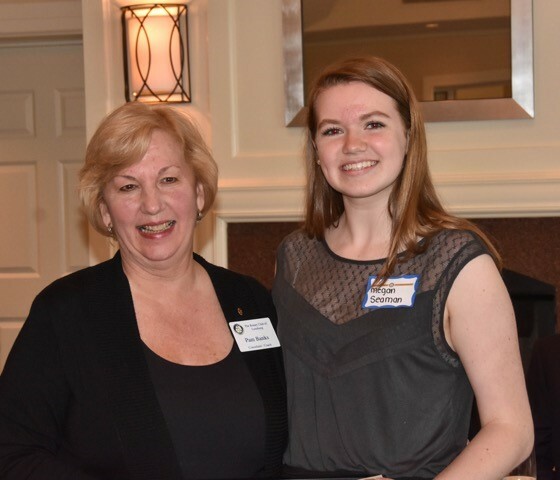 The Rotary Club of Leesburg Foundation presented Angelique Arintok, with the CS Monroe Technology Center scholarship award. Angelique, a top student at Monroe, plans to pursue media production and communication at George Mason University. She has been involved in numerous volunteer endeavors including Loudoun Cares and its Community Builders program. Harper Park Middle School student Megan Seaman was awarded first place in the Rotary Club of Leesburg Four-Way Test Essay Contest. Her testament to the meaning of service and truth was excellent. Her essay was so impressive that she competed in the District 7610 contest, where she won third place among participants from across Virginia.